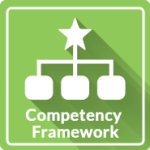 Competency frameworks are an essential vehicle for achieving organizational performance they are embraced by progressive organizations who integrate frameworks to inform their recruitment and selection, performance management and succession planning activities. But where do you start? Designing and implementing a competency framework can be time consuming and frustrating if it is not well received by the business. This highly interactive event will enable you to develop, construct and apply the techniques of competency framework development. We will also explore and develop approaches to sell the benefits of a competency based approach to managers and employees who are stakeholders in the initiative. The workshop materials will include comprehensive templates for you to take away to continue to construct and maintain your framework. Hello Joy, I just wanted to drop you a quick note to thank you very much for all the effort you have put into working with us. I feel we made great strides last Tuesday and it’s only since I’ve had a chance to really think it through today that I fully appreciate the progress we made. I especially appreciated how you were able to question us so thoroughly and deep dive into what really matters in our organisation. You seem to have a really good ‘grasp’ of how we do things and how it fits together at Jaguar Land Rover which is not easy! I’ll continue to review your inspirational materials and thank you again..
We had our first workshop on Monday and it went incredibly well The Organisational Capabilities you challenged us to set have really landed well and seem to be working for our teams in practice, so it’s all starting to feel very ‘real’ now – all very exciting! Preparing to integrate with these strategies: Activity Let’s begin by asking questions! Being Clear -The vision – How do we see ourselves in the future? How can the business perform better than the competition in those markets? (advantage)? What resources (skills, assets, finance, relationships, technical competence, and facilities) are required in order to be able to compete? (Resources)? What external, environmental factors affect the businesses’ ability to compete? (Environment/Climate)? Is my organisation in a state of readiness to take advantage of a competency based approach? Clarifying what you intend to get out of the competency framework and which internal processes will be involved. A competency framework that is constructed with very specific criteria can often restrict people; however, some roles are subject to regulatory and legal processes that must be followed without deviation. This session will provide you with the tools to design and structure your framework. The supporting processes and documentation required to implement your competency framework. When should employee training become competency-based, and when should it be delivered traditionally?